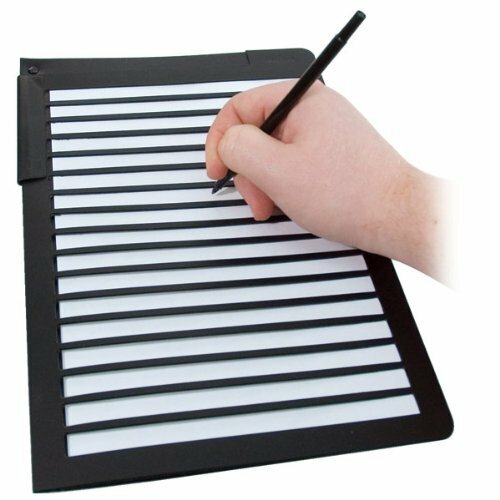 This extremely durable letter writing guide will last you a lifetime. The 8.5 x 11 inch frame fits a standard sheet of paper, and the 13 apertures correspond to ordinary line spacing. If you have any questions about this product by MAGNIFYING AIDS, contact us by completing and submitting the form below. If you are looking for a specif part number, please include it with your message.